Below are a few places to visit in London, England, connected with William Shakespeare. The Globe Theatre, in Central London, is a faithful reconstruction of William Shakespeare's Elizabethan theatre, which stood very close to this spot. 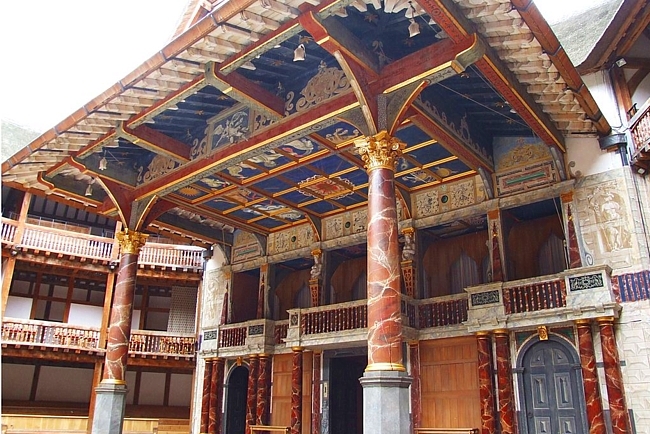 Many of Shakespeare's plays were first performed at The Globe, and William was an actor aswell as a shareholder in the theatre. The present Globe Theatre was founded by Sam Wanamaker, an American actor and director, but sadly he never lived to see it finished. It was finally opened in 1997 and has become one of the most famous and visited theatres in the world. In 2014 a new theatre was opened at The Globe site, named after Sam Wanamaker, and is a reconstruction of a Jacobean Playhouse. As well as watching a play in Elizabethan style, visitors can tour Shakespeare's Globe, see exhibitions, and dine in the Swan Bar and Restaurant. The theatre also has a shop which is open to the general public. While Stratford-Upon-Avon was William's home town, he lived for many years in Southwark, London, and sometimes worshipped at this cathedral. His brother, Edmund Shakespeare, is buried here. 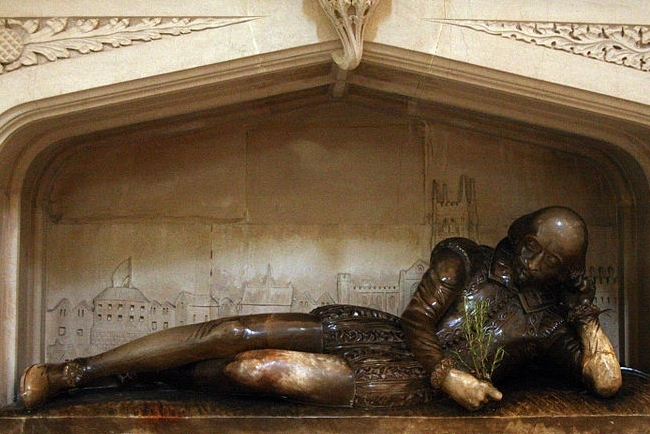 In memory of William Shakespeare, for several years an inhabitant of this parish, 1564-1616. A tribute from English and American admirers of the poet whose work and glory are their common heritage. The window above a gift of Sir Frederick Wigan, the inscription to the glory of God in gratitude for his good gift to men in the genius of William Shakespeare. Not only is this the oldest pub in London but it is known as "Shakespeare's pub" as it is believed William was a regular! 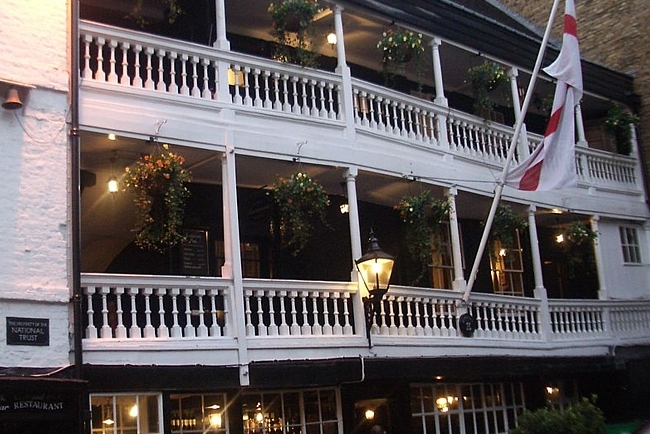 The George is also the only surviving galleried coaching inn in London. The George is now owned by The National Trust but still operates as a pub!